The works of Maria Bartuszová - sculptures created by using rubberized materials and plaster to form unique casts, or by using water and plaster to minimize gravity - trigger extraordinary and moving impressions. These biomorphic sculptures, in which branches sometimes pass through plaster, are striking in their beauty, their seeming perfection, even, and also, in their vulnerability, precariousness, and fragility. Alison Jacques Gallery is delighted to present the first UK solo show of Slovak artist Maria Bartuszová (1936 - 1996), in collaboration with Gabriela Garlatyová, curator of the Estate of Maria Bartuszová, Košice. The works selected for the show span Bartuszová's entire career dating from the early 1960s through to 1996. The majority of Bartuszová's works were made in plaster, a material that possesses an inherent temporal beauty. Inspired by nature many of her works appear to take shape as the result of gravity, compressing and expanding to simultaneously reference movement and hesitation. The artist's work was produced in a Czechoslovak environment removed from contact with European events, yet despite this isolation she collected the monographs of Brancusi, Fontana, Hepworth, Moore and Noguchi which inspired her practice alongside a variety of other sources such as architectural designs and scientific and technical photographs. Maria Bartuszová (b. 1936, Prague, Czechoslovakia; d. 1996, Kosice, Slovakia) graduated from Academy of Applied Arts, Prague, Department of Ceramics in 1961. Her work was exhibited during her lifetime in former Czechoslovakia and recently has been featured in many international exhibitions. Among others these include Documenta 12 curated by Ruth Noack in 2007, Les Promesses du passé, 1955-2010, Centre Georges Pompidou in 2010 and the retrospective Maria Bartuszová: Provisional Forms at Museum of Modern Art, Warsaw in 2014. 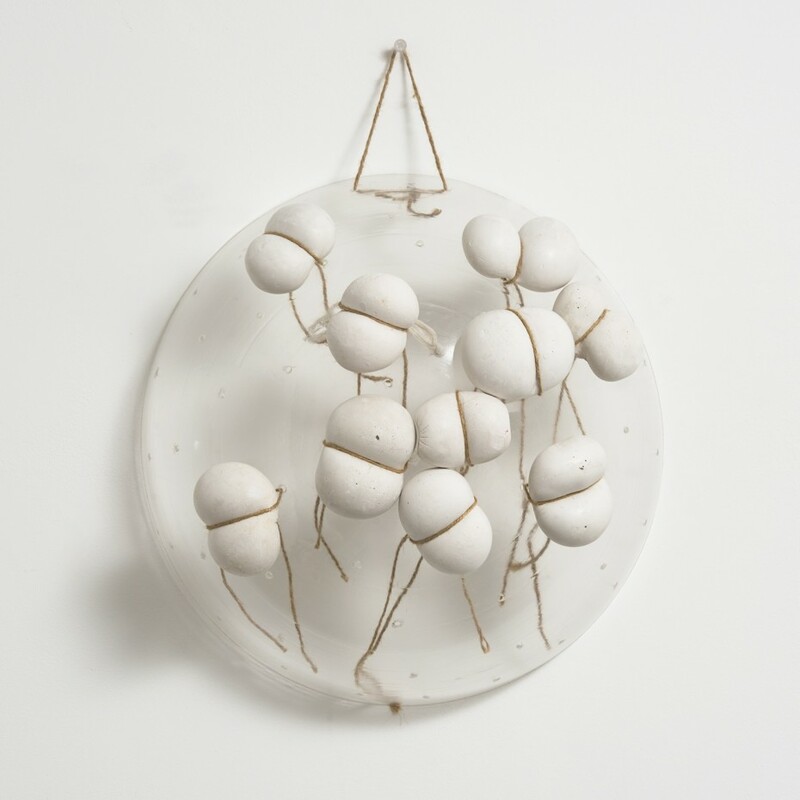 Work by Bartuszová has been prominently featured in two recent exhibitions at Alison Jacques Gallery; Matter & Memory in 2014 and Organic Sculpture in 2015. Bartuszová's work is in numerous museum collections including Tate, London, Centre du Pompidou, Paris and Slovak National Gallery, Bratislava. * Garlatyová, Gabriela. Maria Bartuszová: Provisional Forms, Museum of Modern Art Warsaw: Chicago University Press, 2015.